This package contains (2) bags of SoHum Living Soil™. Each bag contains 1.5 cubic ft. of our premium potting mix. Just add water! Selecting organic soils for your cannabis seedlings is the first step towards cultivating a healthy crop. When it comes to growing, SoHum Living Soils are handcrafted by growers, for growers. It is a common misconception that soil has a direct impact upon the flavor of cannabis crops. The truth is a little more complicated. 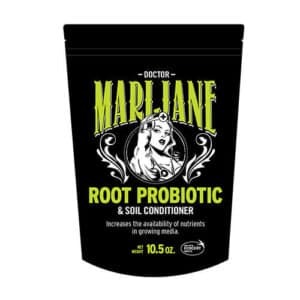 Soil indirectly influences flavor by providing a steady and balanced stream of the mineral nutrients and moisture the cannabis plant needs to grow. Living soils that deliver steady quantities of nitrogen, potassium, phosphorus, sulfur, calcium and magnesium will create a crop of superior quality and flavor. 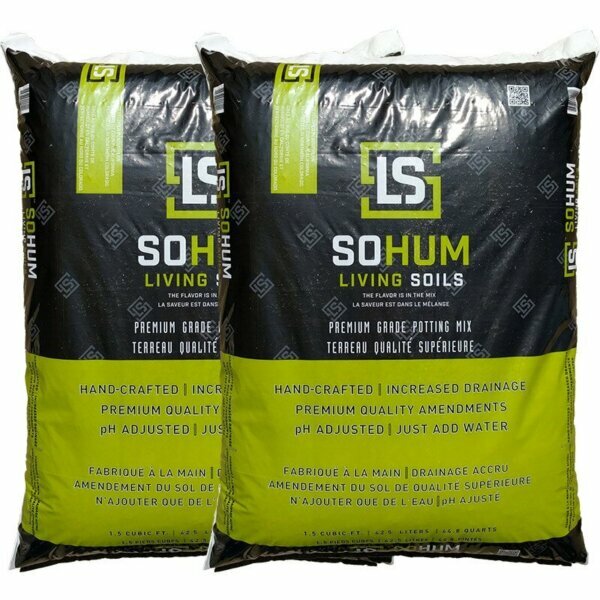 Our SoHum Living Soils are sold in bags that contain 1.5 cubic feet of premium potting soil. Our two-bag package is just the right amount of soil to give your plants the space they need to grow tall and strong. The premium mix contained within the soil delivers a flavorful, high-yield crop at a reduced cost. All you have to do is add water, and the sun and soil will do the rest. While two bags will get you started, it won’t be enough to grow additional crops. That is because growing marijuana is a nutrient-intensive process. As the plant grows, it depletes the soil. Trying to reuse the soil will result in diminished yield and quality. 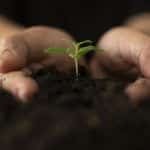 As such, we advise our clients to be kind to their marijuana and give subsequent crops fresh soil to grow in. SoHum living soils can be used to grow cannabis inside under grow lights or outside beneath the welcome warmth of the Colorado sun. Our organic soils are carefully mixed so that they facilitate excellent drainage, which means they can help maintain the 70 percent to 80 percent relative humidity that is ideal for growing cannabis. For best results, it’s advisable to test rainwater and tap water for the proper pH before watering the soil. Our non-toxic organic soils don’t contain chemicals and contaminants. They won’t harm children or pets and can be handled without the need for gloves or specialized equipment. While the soil is specially formulated for growing cannabis, we have designed it so that it can just as easily be used to grow everything from fruits to flowers. Please contact us for further information. 6 reviews for SoHum Soil 2 Pack – 3 Cubic Ft.
We recently began selling your SoHum a few months ago, and we are just about out of our first pallet. I thought it was expensive until I realized the quality of the soil! I have found that it is well worth it as it is dependable, consistent, and effective. I am growing some other species in it such as tomatoes, various brassica, and Azadirachta Indica (Neem Tree) with mixed results. But as far as Cannabis goes, this is by far the best product, yield, health, results that I’ve seen. Previously I have usually grown in Fox Farms Happy Frog soil using MAX Sea nutrients (very lightly) or my own homemade soils which have come close to the SoHum, but not quite as great! I have also found SoHum to be an effective top dressing to some of my older potted plants such as Pogostemon henienous, Citrus medica, and Musa accuminta. No comparison. The med plants were WAY behind the rec plants in terms of growth and health. They look great. To be fair, the Ocean Forrest and Innovative Organics soil is doing well also, but I would DEFINITELY run Sohum. I like the composition. It drains well. Good mixture of coco and perlite. Very nice soil. I can see it already. I have nothing but good things to say about Sohum. I’m happy to give my positive input as a grower to anyone with Sohum that might have questions. It’s working great. The composition is my favorite aspect. It drains well and the plants breath well. Better yet, the Sohum will bolt here soon and surpass the Ocean, in my three years of study. In my garden i started running sohumsoil this season. I bought 6 bags to test out the results, it’s july and i need more soil. So far no other nutrients were used other than silicate and foliar sprays to prevent heat stress and promote vigour. I post my crop pictures on my instagram and have gotten great interest on the results of your soil and my growing methods. Especially since I grow outdoor in my back yard with love patience and the overall goal in mind. The only thing i would recommend is some teas once a week to boost replenish and excite microbes and fung and a cover crop to keep everything alive. But literally best soil to date. No matter the strain or genetics so far indica or sativa or hybrid OG they are all healthy super wonderful and yes- thriving. Why dp i need more soil? The plants love it and eat it all up! Healthy appetite equals a healthy immune system and azing results. I’m about to place another order of 6 bags to finish this test run and if all goes well I’ll be buying a enough for next season in the ground. And running tester strains along with clones of proven genetics. Very happy with your passion that helps build mine. Thank you. We appreciate your business! Thank you for the review and please don’t hesitate to reach out if you have any questions, I am happy to help or guide you to the correct person who can.